Though there is still some time left for the financial year to end, have you decided in which tax-saving mutual fund will you invest this year? 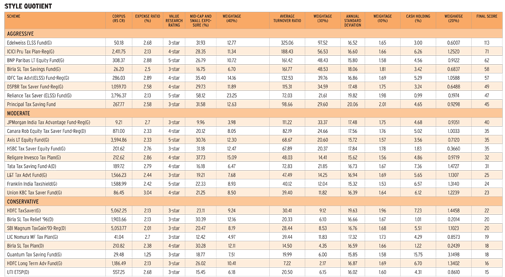 If you haven't, and that too because of the difficulty in deciding which fund suits you best, here's a little help. Though most people choose a fund based on performance, there is much more to a fund than its past. One must, for instance, understand where it fits in the larger portfolio or if it suits one's risk appetite. While most tax-saving funds invest big time in small-cap and mid-caps, some overload the portfolio with these stocks, making returns volatile. Some churn the portfolio more while some take aggressive cash calls, that is, hold a lot of cash if stocks are too expensive. We tell you why these parameters are important. Exposure to mid-cap and small-cap stocks: Tax-saving funds typically buy shares of big as well as small companies. 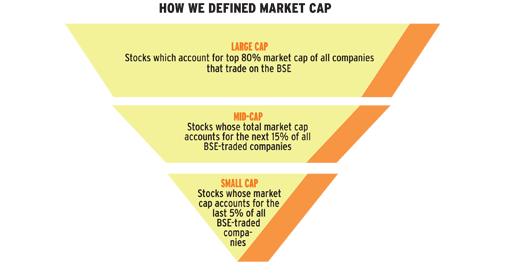 Though most invest over 50% money in large-caps, some prefer a very high exposure to mid-caps and small-caps. This matters because prices of mid-cap and small-cap stocks are very volatile, which is reflected in performance of funds that invest heavily in these stocks. Reliance Tax Saver Fund, for example, had 58% money in mid-cap and small-cap stocks on an average in the past three years. The figure for BNP Paribas Long Term Equity Fund was 27%. Turnover ratio: This shows how fast the fund churns the portfolio. A 100% turnover means the portfolio is changed completely in one year. A 20% figure means this happens in five years. The higher the ratio, the more the churn. "We actively capture intra/inter sector valuation differences, which involves selling expensive stocks/sectors and buying relatively inexpensive ones," says Chintan Haria, fund manager, ICICI Prudential Tax Plan. A high churn means extra cost due to securities transaction tax, though there is a cap on the fee that mutual funds can charge from investors. Besides, we have seen that expenses are more a function of assets under management than the turnover ratio. However, a high turnover ratio certainly indicates aggressive fund management. Cash holding: Funds hold some cash for liquidity or portfolio rebalancing. However, some take active cash calls, that is, hold a lot of cash, typically in markets where they think valuations are high and it is not prudent to be fully invested. This is aggressive fund management. The cash holding of Quantum Tax Saving Fund, for example, was 16% in the three years to January 2012. However, for most funds, the figure was below 5%. "The main reason for keeping so much cash is discipline. The scheme sells stocks after they cross pre-determined limits. Also, there may be few good investment ideas in the market due to high valuations. If markets correct, we may get an opportunity to deploy cash," says Atul Kumar, fund manager, Quantum Tax Saving Fund. But not all fund managers take aggressive cash calls. "As far as cash levels are concerned, we are typically fully invested. Cash is kept only to meet liquidity needs and for portfolio restructuring/rebalancing. 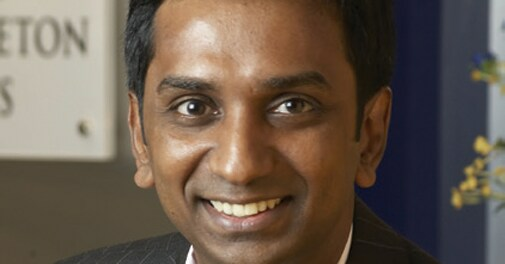 This is because our portfolio comprises long-only products, a structure that by design forbids managers from taking cash calls," says Anand Radhakrishnan, chief investment officer, equity, Franklin Templeton Investments. Standard Deviation: This measures volatility in returns. Volatility could be high because of portfolio composition, active churn and high exposure to small-cap, mid-cap and cyclical stocks. Standard deviation shows how much returns deviate from the average. For example, if the average one-year return is 30% and standard deviation is 10%, the one-year return will be 20-40% at least 68% times. Nearly 95% times it will be 10-50%. The more the standard deviation, the higher the volatility. In order to make it easier for you to select a tax-saver fund, we decided to divide these into three categories-aggressive, moderate and conservative-on the basis of parameters discussed earlier. Here we must make it clear that we have categorised funds as conservative/moderate despite the fact that their portfolio is 100% equity. There are 38 open-ended tax-saving funds, also called Equity-linked Savings Schemes or ELSS. We pruned the list by excluding funds rated below three-star by Value Research, a mutual fund tracking company. We were left with 25 funds. We measured their performance on following parameters-mid-cap and small-cap exposure, turnover ratio, standard deviation of return and cash holding-in the three years to 31 December 2014. We gave different weights to each parameter-40% to mid-cap and small-cap exposure, 30% to portfolio turnover ratio, 20% to cash holding and 10% to volatility in returns. We got a score by multiplying the weight to the respective parameter and adding the weighted parameters. Based on the (rounded off) score, we divided the 25 funds into three categories-the top eight funds (in descending order) as aggressive, the subsequent nine as moderate and the rest as conservative (See Style Quotient). As per our calculation, Edelweiss ELSS Fund, with a score of 113, is the most aggressive, followed by ICICI Prudential Tax Saver (71) and BNP Paribas Long Term Equity (62). Edelweiss ELSS Fund scored the most because of high average turnover ratio (325) in the past three years. This can be attributed to its quant model of fund management, where stocks are selected on the basis of pre-determined rules. It's average mid-cap and small-cap holding during he period was 31%. Cash holding was 3%. ICICI Prudential Tax Plan and BNP Paribas LT Equity Fund also had high turnover ratios (188 and 161, respectively). Both kept their mid-cap and small-cap exposure below 30%. "We do not sell stocks because of valuations but adverse changes in business environment such as rising competition and substantial slowdown in growth leading to deterioration in the sector's return profile. Change in quality of business is given more importance than high valuations," Shreyash Devalkar, fund manager, BNP Paribas LT Equity Fund, said when asked about the high churn rate. BNP Paribas LT Equity and Reliance Tax Saver (ELSS) fund are two five-star funds in the category. Among the moderate ones are Canara Robeco Equity Tax Saver Fund (35), Axis Long Term Equity Fund (35) and HSBC Tax Saver Equity Fund (35). Franklin Templeton Tax Shield (24) also falls in this category. Axis Long Term Equity and Franklin Templeton Tax Shield are the two five-star funds in the moderate category. Of the two the former is more aggressive both in terms of churn and mid-cap/small-cap exposure. "According to the product design, we intend to invest across market caps, with at least 50% money going to large caps," says Jinesh Gopani, fund manager, equity, Axis Mutual Fund. On high turnover ratio (68%), he said this was due to higher incremental flows into the fund than its average size. UTI Equity Tax Saving Fund emerged as the most conservative with a score of 15, followed by HDFC Long Term Advantage Fund (16) and Quantum Tax Saving Fund (18). This category has no five-star fund and only one four-star fund. One can easily reach the conclusion that picking funds from aggressive and moderate categories makes more sense. The conservative funds may be laggards going by their star ratings. If you already have a fund from the aggressive category, you may want to buy one from the moderate category or vice versa. If you do not want to take extra risk and yet want a better performing fund, look for one in the moderate category. "Usually in times like these when equity markets are doing well, funds with higher exposure to mid-cap and small-cap stocks tend to perform well and naturally investors get attracted to them. However, when markets crash, these see the sharpest drop in value," says Ankur Kapoor, director, investment advisory, Finqa, a financial advisory firm. The best way to avoid such a situation is to choose a fund with relatively lower exposure to mid-caps and small-caps. Another option is to have a combination of aggressive and conservative funds.